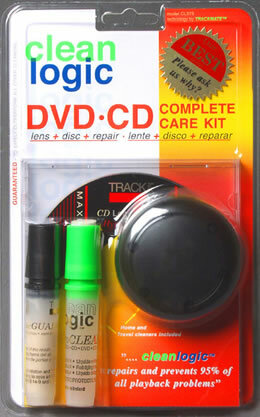 • The recording is on the label side of a CD protected by a printed label. If this side of the CD is damaged, the recording is lost. • A CD should always be cleaned in the jewel case so that it can float on the center support thereby protecting the side opposite the one being cleaned. • The HyperBRUSH™ pile absorbs dirt (like a carpet) and does not force dirt into the disc like a pad, or cloth. • MicroCLEAN™ solution micro cleans the disc surface. Even on a brand new disc you will see the brighter, sharper reflections. World Leader in CE Cleaning Technology.